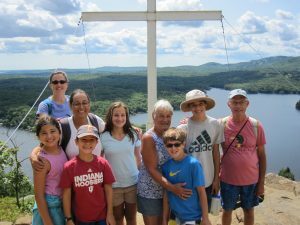 The Episcopal Diocese of Maine and Camp Bishopswood invite you to join us for Summer Finale Camp. Everyone is welcome! 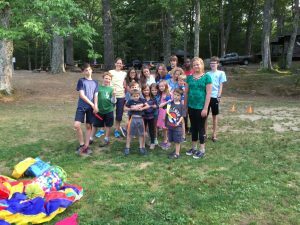 Come and experience a wonderful, meaningful time in this camp community. 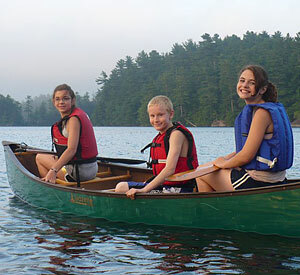 Bishopswood is nestled in the woods on the shores of Lake Megunticook in Hope Maine, 5 miles from Camden. 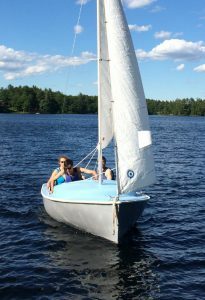 It is one of the most beautiful places to experience a week of Maine summer. What to Bring: There is only one electrical outlet in the sleeping cabins so this is a great time to leave those electronics at home and come be unplugged. 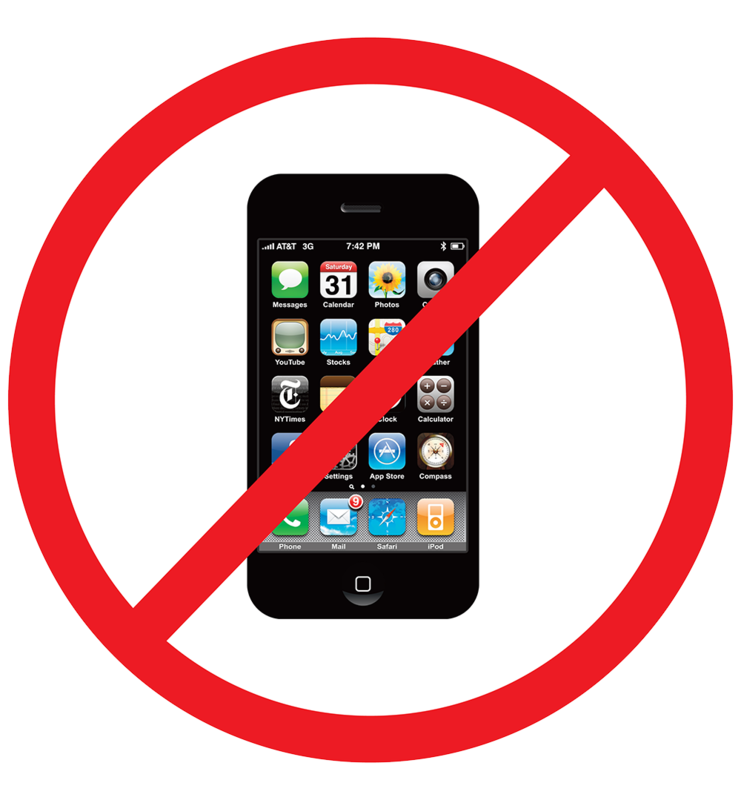 There is no Wi-Fi access and cell phone reception is spotty at best at the cabins. You will need towels, bedding, warm clothes for cool nights, and cool sport clothes for warm days. Camp life is simple. Please leave hair dryers, radios, and tablets at home… enjoy the people and the outdoors. We have a ton of games and puzzles here. We have life jackets at camp, but if a child is under 6 and/or requires a very small life jacket, you will want to bring that. Priority of cabin and locations is given based on special needs, requests, and date of registration. Please understand we need to designate our housing in a logical way in order to keep your costs down and maximize the number of people who get to experience this event. If you’ve already chosen roommates or cabinmates, just let us know on the registration form. We also have some LL Bean tents to loan if folks want to camp. Please drive very slowly down the road. You never know when adults, kids or animals will be sharing the road with you. You can temporarily pass the visitor’s parking lot and drive to the Great Hall. You can temporarily park your car here, register, and unload. You will then be informed where to park your car from here. You are unable to drive to your cabin. We will have a couple of garden carts available to aide you in bringing your items to your cabins. 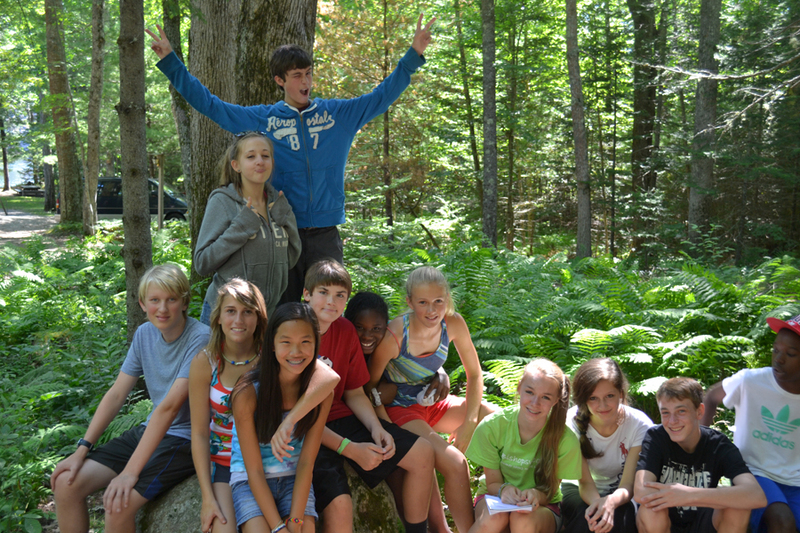 Bishopswood has over 80 acres of lush forests and endless shoreline on Lake Megunticook. 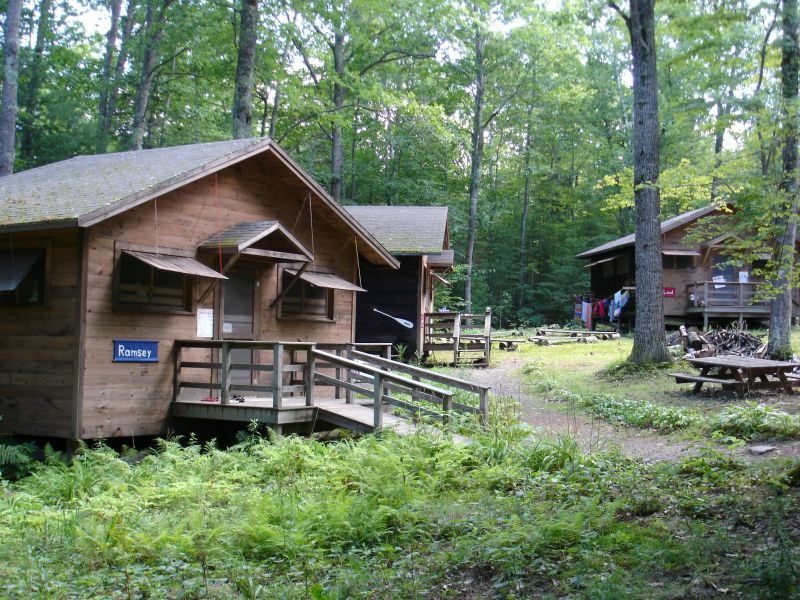 People will stay in rustic cabins or camp with little or no electricity. Bishopswood does have nice 4- and 6-person LL Bean tents that can be used for free. Pets are not permitted. The amazing Great Hall is an outstanding building that will host our meals and also serve as a gathering place for the whole community for games, reading, socializing, and fires. Bishopswood is a non-smoking and alcohol-free facility during this time. One of the most popular program areas is our waterfront. Swimming can only take place while a certified lifeguard is present. There are appropriate swimming areas for ages and abilities. 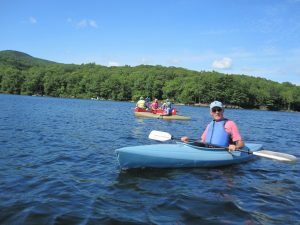 Canoes and kayaks can be taken out at any time by anyone over the age of 21 as long as folks are wearing a lifejacket and an adult is paddling with their child. Meals are served family style in the Great Hall. It is tradition that we all gather outside at the meal steps prior to the meal, sing silly songs, and then enter the dining hall together. Once arriving in the dining hall we stand behind our chair, give thanks for the meal, and then sit. 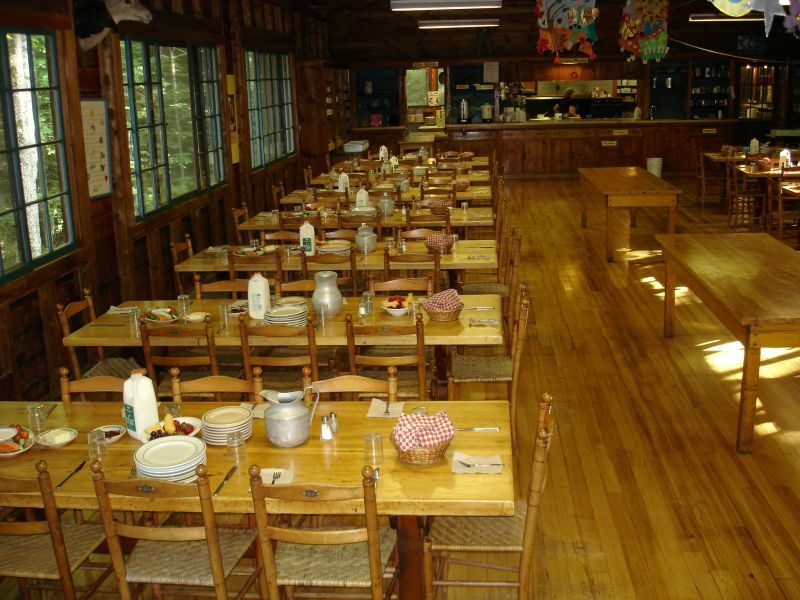 At camp we serve healthy, home cooked meals. We try to serve as little processed food as possible. Most people find enough choices to eat healthily. 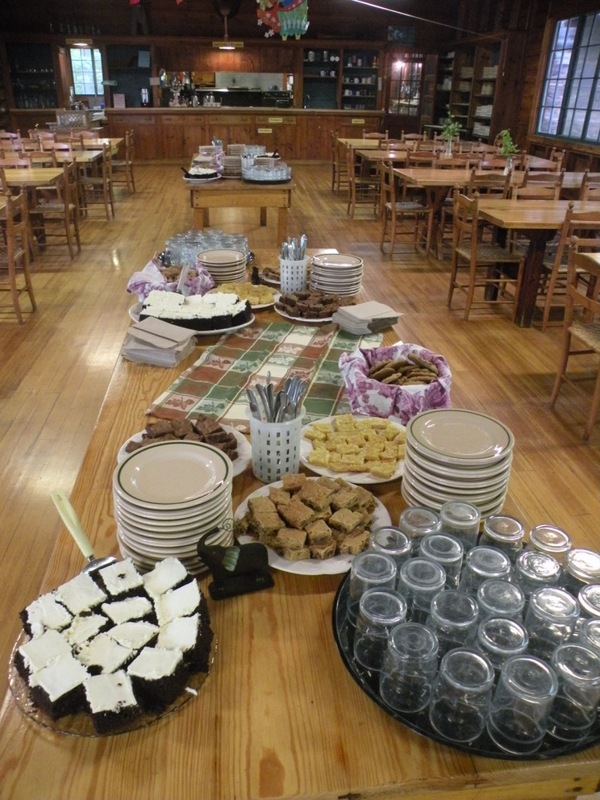 At lunch and dinner, in addition to what the staff cooks for the day, there is a central table with leftovers and salad options. At breakfast, the central table has cereal, fruit and yogurt options to supplement the served meal. There are usually vegetarian and non-gluten foods on the table. If you are someone who ALWAYS eats vegetarian or gluten-free, or if you have a severe food allergy, let us know. There will also be an opportunity to sign up to create your own bag lunch if you would like to do an off-camp trip.